The last time moviegoers saw Zorro on the big screen, it was 2005’s The Legend of Zorro, and Antonio Banderas was playing the famous fictional swordsman. Well, just like a lot of properties, Hollywood wants to give Zorro another shot, and back in February, it was announced that Gravity co-writer Jonás Cuarón would both write and direct the new movie. Now the news it out that this reboot has hired Babel’s Gael Garcia Bernal to play the new iteration of Zorro. According to Deadline, Bernal will re-team with Cuarón (having just worked together on Desierto) for Z, which will tell a Zorro tale set in the near future and introduce him to new audiences. No other details have been released about the reboot, but production is reportedly looking to begin this fall at the Pinewood Dominican Republic studios. Z will be the latest time Zorro has been adapted in live action, having starred in various movies, film serials and TV shows over the decades, not to mention books, radio programs, animated series, comic books and more. 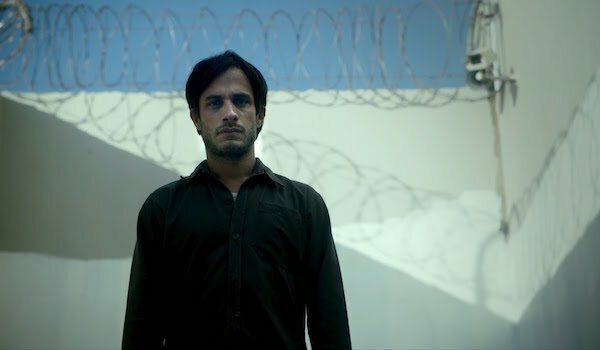 Gael Garcia Bernal has been acting since 1989, and his notable roles include playing Che Guevara in The Motorcycle Diaries, his triple role as Ángel/Juan/Zahara in Bad Education and Santiago in Babel. His more recent projects include Casa de Mi Padre, Rosewater and Cesar Chavez, and he’ll be seen later this year Moises in the previous-mentioned Desierto. He is currently starring as Rodrigo De Souza in the Amazon series Mozart in the Jungle, a role which earned him a Golden Globe for Best Actor in a Television Series Musical or Comedy last year. Although this particular casting is hot off the presses (so to speak), it’s not the first time Gael Garcia Bernal has been slated to play Zorro. Back in 2012, he was attached to play the character in Zorro Reborn, which was also set in the future in a post-apocalyptic setting. Despite the similar concepts, it appears that Z is either a separate project or has evolved into something different than how Zorro Reborn was initially conceived. Ever since he was created in 1919, Zorro, whose real name is Don Diego de la Vega, has traditionally been set in the 19th century, taking Z to a different time period might be just the thing to spice up the property. What’s most important is that Bernal’s iteration still has the trademark sword skills and fights against injustice. From there, it will be interesting to see other ways this movie will differentiate itself from its predecessors. We’ll keep you updated on any other news regarding the Zorro reboot’s development, but in the meantime, let us know what you think of Gael Garcia Bernal being cast as the swordsman in the comments below.